Bang on the drums all day. 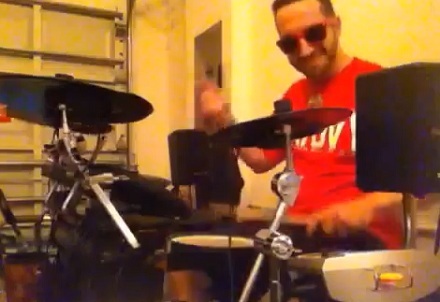 John Westbay’s drum cover of Tech N9ne’s “Can’t Stand Me” from KLUSTERFUK takes the original ¡MAYDAY! drum track and gives it even more life. John speeds through this upbeat Tech track with enthusiasm, and there is no boring repetition here. With endless killer drum fills, the viewer is sure to be entertained from beginning to end. What did you think of the drum cover?